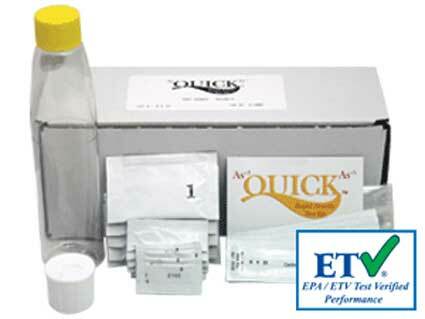 Do You Carry a Complete Test Kit for Well Water? Regarding the matter of a ‘complete’ test kit for well water, we do not believe such an animal ‘truly’ exists… because one could ALWAYS think of more tests to perform — depending on the circumstances. Technically speaking, literally HUNDREDS of possible tests COULD get done on well water… but most usually only need doing in rare and very unusual circumstances, as we implied previously. Now, getting back to your question with a more real world perspective, the Water Quality Test Kit offers a good selection of normal tests for well water and also includes a lead in water, a (basic) pesticides in water test, and an arsenic in water test. If looking for an even more comprehensive test for well water, then you may want to consider the WaterCheck Well-Check Water Test Kit from National Testing Laboratories. 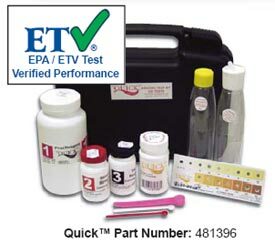 Specifically: The Watercheck Well-Check Test Kit from National Testing Laboratories makes having your well water or spring water tested for bacteria (total coliform and e-coli), 19 heavy metals and minerals (including lead, arsenic and mercury), 6 inorganic chemicals (including nitrates and fluoride) and 5 physical factors (including pH and hardness).